Community Blog by zerocrossing // The Videogames Industry: How far we've come. The Videogames Industry: How far we've come. Way back in the late 80's early 90, when videogames were first becoming popular as a entertainment medium, who would ever have guessed that the videogames industry would come as far as it has today? It is after all arguably the greatest, most popular and profitable entertainment medium around right now. My reason for writing this blog is in order to discuss the high points of the videogame industry's history, and why I personally believe videogames to be the best form of entertainment available to us today. I'll start by saying that I am primarily a console gamer, so I'll be focusing more on that aspect of gaming, mostly due to the fact that I'm more familiar with home consoles and console games and also because I don't wish to spread any misinformation. 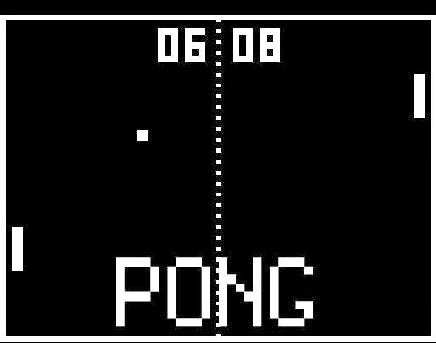 Pong. Widely regarded as the precursor to modern gaming, how odd to think that our gaming hobby started out as two oblong shapes bouncing a square ball back and forth against a barren background. As many of you may already know, videogames have been around for well over 25 years and have offered us many old-school PC and arcade classics such as Pong, Tetris, Space-Invaders and Pacman, and although the advent of console gaming and modern day innovations have helped push the medium further, allowing it to gain mainstream acclaim, the roots of our hobby are still deeply intertwined in the games we play even today. Gaming has come so far as to reach the point where films are now not only being adapted into videogames to help further popularise a movie, but videogames are being adapted into movies to help popularise a game!. Think about that for a second, videogames have gained such a huge following in the mainstream that they are now actively affecting another medium of entertainment, one that has been around for centuries before hand. Who would have thought that games like Tomb Raider, Resident Evil and Prince of Persia would ever get movie adaptations? (I am aware of the live action Super Mario Bro's movie and Mortal Kombat but it's undeniable that game to movie adaptations are a much more common occurrence today) It just goes to show how far gaming as an entertainment medium has come after a relatively short amount of time. But long before Nintendo laid the foundation for console gaming with the NES, and went about setting the standard for console videogames everywhere with their "Nintendo gold seal of quality" there were quite a number of home consoles that came about such as the Magnavox Odysse, Atari 2600 and the Commodore 64 Games System, but most failed largely due to either insane pricing or the extreme difference in quality between many of the games available on their respective platforms (amongst a variety of other reasons of course) It is arguably due largely to Nintendo's strict quality control that they were able to to rise above the competition, although taking into consideration the fact that Nintendo also had such talent on board the likes of Shigeru Miyamoto, Eiji Aonuma and Yoshio Sakamoto, the developers responsible for such Nintendo classics as Super Mario, The Legend of Zelda and Metroid, is it really any wonder how Nintendo found such worldwide success in the videogames industry? Nintendo eventually found a worthy rival in Sega and for a long time they did battle (I suppose you could even call this the very first console war) there were a great many fantastic games to be released by both parties but it wasn't until the release of the Super Nes and Sega Saturn that we'd see the console videogame landscape transform with the advent of 3D gaming. 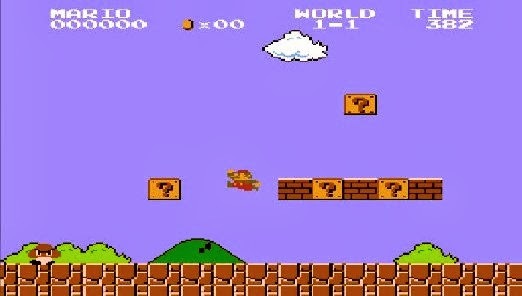 Now PC gamers naturally had the privilege of experiencing 3D gaming for a number of years beforehand thanks to popular PC games such as Wolfenstein 3D, and the more popular and widely known Doom (although console gamers were later treated to The Legend of Zelda: Ocarina of Time, highly disputed by many as one of single greatest console games ever created) The ability to now control your character on a 3D plain gave rise to a previously unprecedented freedom of exploration, as well as new types of genres and gameplay elements, although some early 3D character models looked reminiscent of paper mache rejects there really aren't many who would disagree that the advent of 3D gaming was truly a landmark moment for the videogames industry. 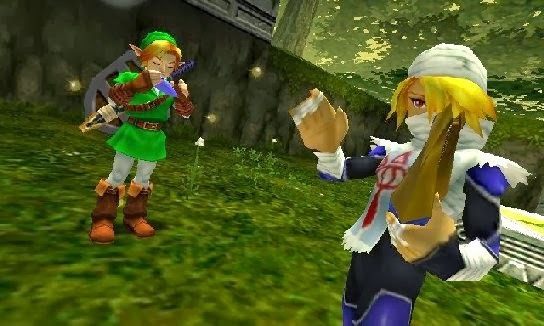 The Legend of Zelda Ocarina of Time. This N-64 classic is praised by many as one of the greatest adventure games ever created, the games continued popularity earned it a 3D rebuild (as seen above) for the Nintendo 3DS in June 2011. But who was to know that the next landmark moment for videogaming would come about thanks to a completely new challenger? (That's right I'm talking about Sony) Sony'sfirst foray into console gaming with their "Playstation" ushered in with it a focus on the mainstream, you see before the Playstation, videogaming was still considered by the vast majority of society as a children's past time, but thankfully Sony was having none of that and heavily promoted the Playstation as the console for "cool kids" It paid off too, the Sony Playstation was a monumental success and helped to further popularise gaming as a entertainment pass-time. However Sony's smart decision making wasn't the only reason the Playstation became a success, for those of you not in the know Nintendo actually approached Sony asking them to create a disc based console, I'm not entirely aware of the specifics myself, but it seems that the deal fell through and Nintendo instead went on to develop the Nintendo 64, another cartridge based system like the Snes and NES before it, leaving Sony with a disc based console and scratching their heads. Sony eventually decided to put the console out on the market as direct competition to Nintendo's N-64 and called it the "Playstation" and with what I'd arguably call "Poetic justice" Sony went on to gain many exclusives such as Metal Gear Solid, Resident Evil, Ridge Racer-Type 4 and Tekken, including some titles that once belonged to Nintendo, this of course was primarily due to the Playstation being a disc based system, discs being a newer, superior format in comparison to the aging cartridge system. Where as Nintendo went on to loose many of their exclusive IP's such as Final Fantasy and missed out on many exclusives, primarily due to the N-64 only supporting cartridge based games, which do allow for games to be saved directly on the cartridge eliminating the need for memory cards but are otherwise a very limited format when compared to discs. 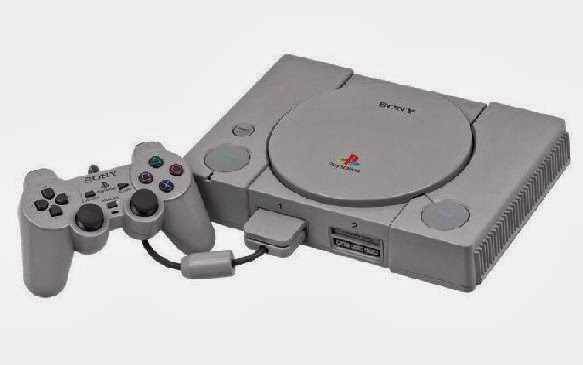 The Sony Playstation (aka the PSX) Sony's Playstation opened up gaming to the masses, it is the consel that defined a generation and made gaming populer in the mainstream. Sony have gone from strength to strength after the release of the Playstation, where as many believe the Nintendo 64 to be the beginning of Nintendo's gradual decline in the industry. Of course no list about landmark videogame achievements would be complete without mentioning GTA-III (aka Grand Theft auto 3) the originator of the "sandbox genre" Long before the British, Edinburgh based developer DMA Design Ltd were taken on by Rockstar Games, GTA was still around upsetting parents and causing controversy, but instead in a 2D, top down view setting. It wasn't until GTA-III was released in all it's 3D, open-world glory that the franchise really hit it big. 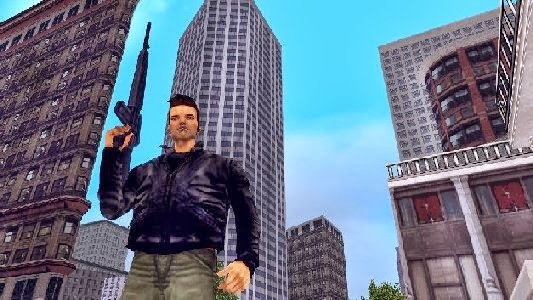 There are a great many reasons as to why GTA-III is truly a landmark in gaming history, it offered a previously unprecedented level of freedom and exploration, mature content and story telling, as well as the ability to cause absolute mayhem, but honestly there are far too many reasons for GTA-III's success for me to list here. Though fortunately if you are interested you needn't look much further than the games recent successor GTA-V, to help you understand exactly why the move into a 3D open-world setting caused such a stir way back in the early 2000's. GTA-III (aka Grand Thenf Auto 3) The game that single handedly popularised the "sandbox genre" whlile setting a new precident for videogames everywhere. So, we've covered a little on how the early popularity of console gaming came about, the advent of 3D gaming, the industry's gradual move into the mainstream, and it's acceptance as a entertainment pass-time for the young as well as the mature, next I'm going to discuss online gaming. Now not many people may know this, but there were a few early consoles that actually did offer online functionality in one form or another, such as the Japanese NES (aka the Famicom) by way of the Famicom Modem, as well as the Super-NES and Sega Genesis which offered online gaming by way of the XBAND modem in the USA. But these early attempts at online connectivity were extremely lacking, even archaic in comparison to more well known and modern attempts. It wasn't until the Sega Dreamcast was released however that online console gaming began to truly take form. Unknown by many today primarily due to it's short time in the sun, the Sega Dreamcast was quite revolutionary and far ahead of it's time (making it's early bow out of the industry all the more of a shame) as well as offering VMU's (Visual memory card Units) unique portable memory cards that let you save and store game data as well play mini games, it was also in fact the first home console to include a built-in modem and Internet support for online play, a feature that would become the standard for pretty much all consoles to follow. The Sega Dreamcast. Both forgotten and mourned by many, the Sega Dreamcast holds a special place in many gamers hearts as the last true "arcade console". The next milestone to come about for console gaming was arguably thanks to Microsoft's "Xbox" and it's contribution to the further advancement of online gaming "Halo: Combat Evolved" was a fantastic FPS (First person shooter) but it wasn't until it's sequel "Halo 2" that Microsoft really began to push online gaming forward, for many Halo 2 was "the game to play" if you had an Xbox and an online connection, and in many ways it was responsible for laying the foundation that many future console online FPS's set about building their success upon, games such as Call of Duty for example. The next generation of consoles to follow, the PS3, Xbox 360 (even the Wii but to a lesser extent) respectively, were each built with online gaming in mind, the majority of core titles and AAA games to be released almost always came with a online mode such as online multiplayer which usually offered competitive and/or cooperative play. 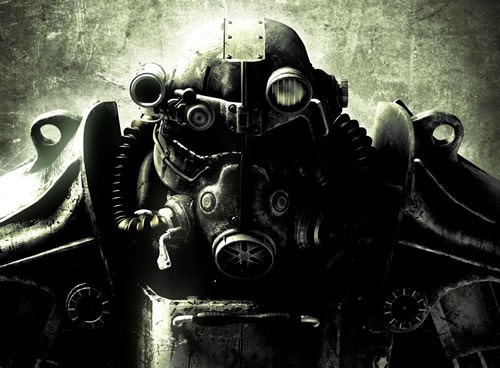 Due to the growing complexity of many modern day videogames, certain bugs or errors are naturally accepted as a given now since they are more likely to be overlooked before a game hits store shelve, however standardised online connectivity has brought with it the ability fix broken/buggy games via online patches (another thing PC gamers have been enjoying for a number of years before hand) also companies were now able to offer consumers additional content long after they had purchased the game by way of DLC (Downloadable content. As much as many companies may get a bad rep for their misuse of DLC, it's undeniable that the ability to offer additional content to consumers via online download in order to help prolong the enjoyment of a particular game, is a feature that has gone on to define (for better or worse) the current generation of videogames. 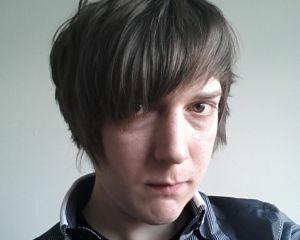 As the old generation begins to bow out, let us remember the innovations brought about by the PS3, Xbox 360 and the Wii, such as motion sensor gaming, standardised online connectivity enabling for online patches, DLC and the mass popularity of online gaming. So, what new generation defining features can we expect to see next gen? will new features such as the integration of social media websites and content sharing spark a new trend in the industry? Personally I can't wait to see what the "next big thing" will be. But if there's one thing that intarests me most of all, it's what brand new gaming experiance lay waiting around the corner. Thanks for sticking with me to the end and I hope you enjoyed reading about some of the history and high points of the videogames industry, as always if you have anything to add or disagree with any of my points made then please feel free to leave a comment.